The open-air Floorspot this year is on Saturday 21st July at Nebo's house in the Tausendblum in Neulengbach, Lower Austria. Nebo did a flyer for it with all the info. Thanks once again for hosting the open air! If you want to download the flyer in English and German, it's here. Floorspot will be on the first Thursday and the 3rd Thursday in the month for 2018. This was requested by Tachles. Here's to many happy and interesting evenings together. Prosit Neu Jahr! 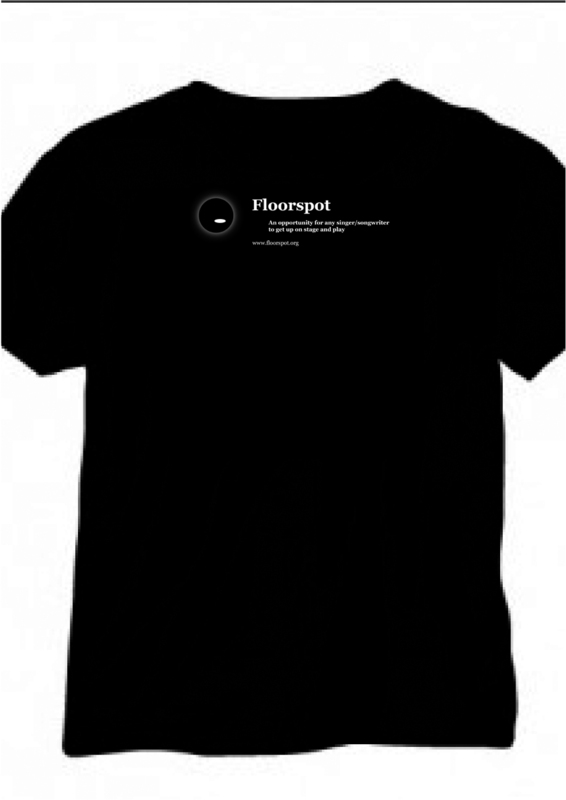 Floorspot t-shirts will be available soon in two designs. 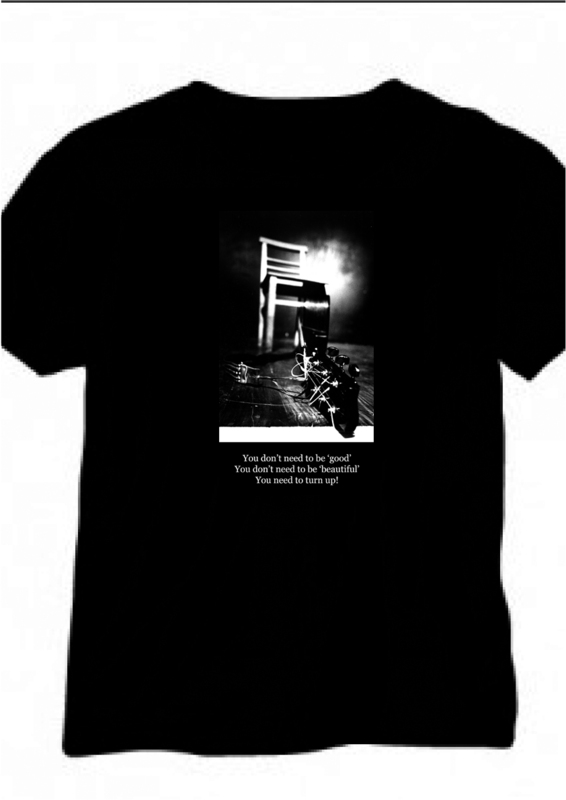 Take a look and drop Jonnie a line, if you would like one. Some more live videos from the January Floorspot are now online. Some of the live videos from the January Floorspot are now online. 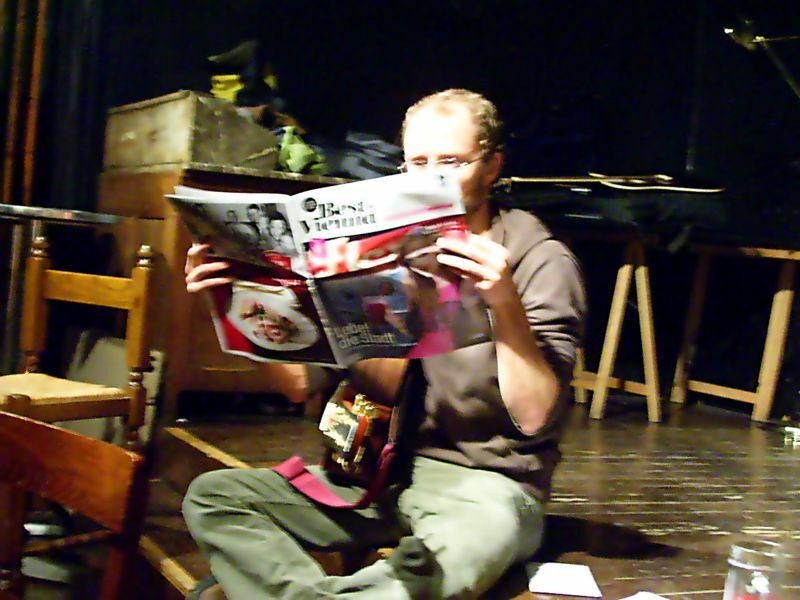 Thanks to Renate Stuefer for filming! Floorspot has been featured in Falter's Best of Vienna for the second year running! There is currently an online petition for more Austrian music on Austrian radio stations! 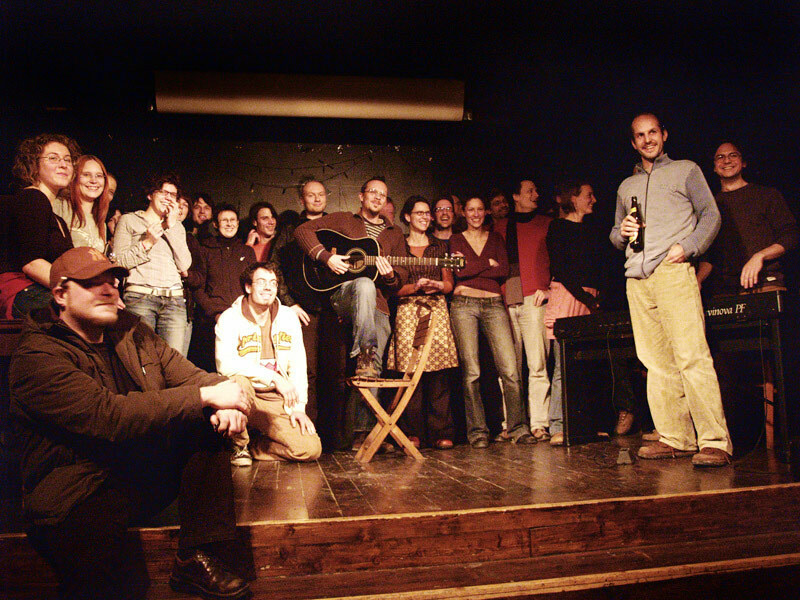 The most people on the Floorspot stage ever!